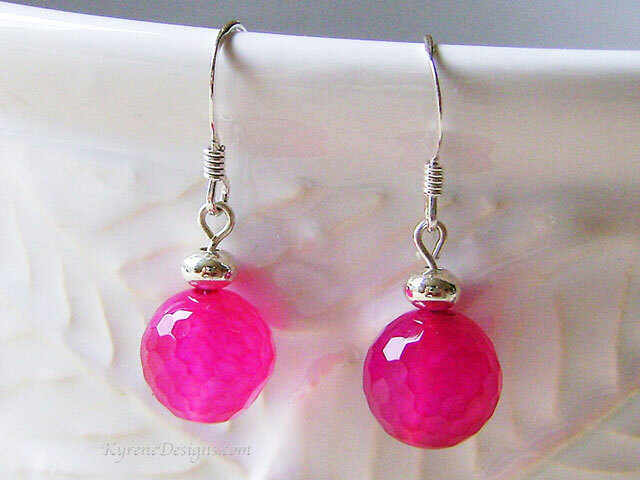 Hot fuchsia, faceted jade earrings with all sterling silver components. Designed to team with the Jazz pendant. Length: 25mm. 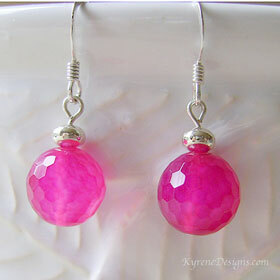 Gemstone 10mm. Dyed.